Fashion News & Media Publications for Apparel, Fashion & Textiles. Have you heard the latest news. A favorite among celebrities is eye popping fashions, bold graphic prints, and muted hues with soft feminine lines. Oh, or maybe that was last season. Yes, the trends sure do change very quickly. We suggest you read the most current blog posts and fashion news articles on various sites around the web. It is important to stay current if you want to stay stylish. Below are a few more resources that you may wish to investigate as you hunt for your daily fix. Apparel Search is one of the largest and fastest growing clothing directory for the Clothing & Fashion Accessories industry. 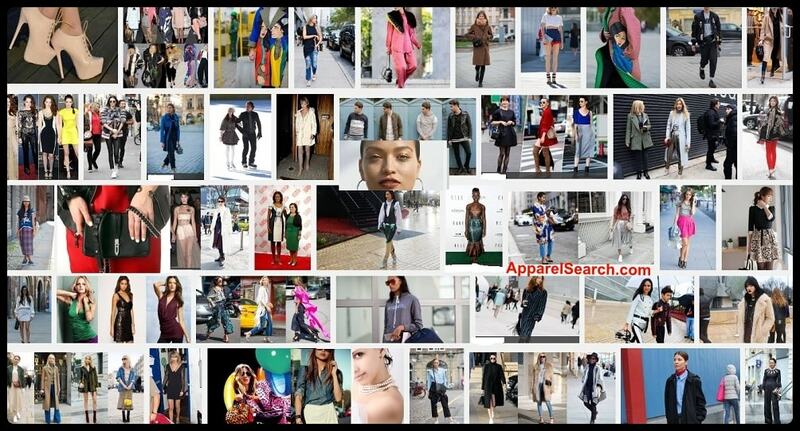 As part of our expanding service, we are pleased to present Apparel Search News. This section has been designed to assist members of the garment industry stay current with the latest clothing industry news and fashion related events. In addition to having fashion reporters write unique articles, we also provide links to numerous outside resources specializing in fashion industry news (fashion & color forecasting, trend reporting, corporate mergers, designer news, etc.). Basically, this area is a launching pad for you to locate the latest fashion industry news, styling, trends that the industry has to offer. If you would like additional news agencies or online magazines added to our directory, please let us know. Are you a Fashion Writers? If yes, you can submit your fashion articles for publication. Fashion PR companies are also welcome to submit news and articles. We are always looking for more news that is relevant to the fashion industry or textile industry. If you have news regarding your company, you are welcome to Submit Fashion News. Have you checked out the Fashion Week Photos website. You may not find fashion news at that site, you will find plenty of fashionable images. While you are at it, you can also check out the Fashion Week Videos website. We hope that you enjoy reading clothing industry news. You can find more options below. Find more of the best reading resources in our new consumer section. By the way, have you seen our new fashion designer section. From that section, you can find fashion designer news. Have you seen the new Fashion Designer News section? Archive of our old Fashion News: Fashion News ASAP. The Apparel Search News section is one of the leading places for finding news and trends in the world of fashion, style, and beauty. Daily headlines and breaking news from leading fashion news resources. Our news area provides comprehensive coverage of news regarding fashion, beauty, clothing retail, and trends. From this single destination, you can catch up on fashion week updates, celebrity fashion, and the latest in runway show reviews from New York, Los Angeles, London, to Milan. In addition, to receive current information on industry happenings, you will find textile news so you can learn about fibers all the way to finished fashion. Have you seen enough fashion news yet? Yes, that was a trick question. If you are a true fashion lover, it is virtually impossible to get enough. Fortunately, new style reports and blog posts are being published constantly. Between the professional media, style blogs, and social media, the world has a never ending supply of information about clothing, shoes, handbags, and our favorite celebrities. Although this page does "not" contain all of the fashion news in the universe, it will at least help you along the journey to learn more. If you are exhausted from reading, you may want to take a break. Their is very little in this world that is more relaxing than reinvigorating your wardrobe. When you are ready, you can shop for clothing in our shopping guide section.